In newest Unreal Engine versions (now I'm on 4.19, but I think this issue is much older) for correct export files can't contain 0 (zero coordinates for x nor y). Weird, but I did tests with renaming all tile files. Now they start from x1_y1 etc. Import is correct with this rename. 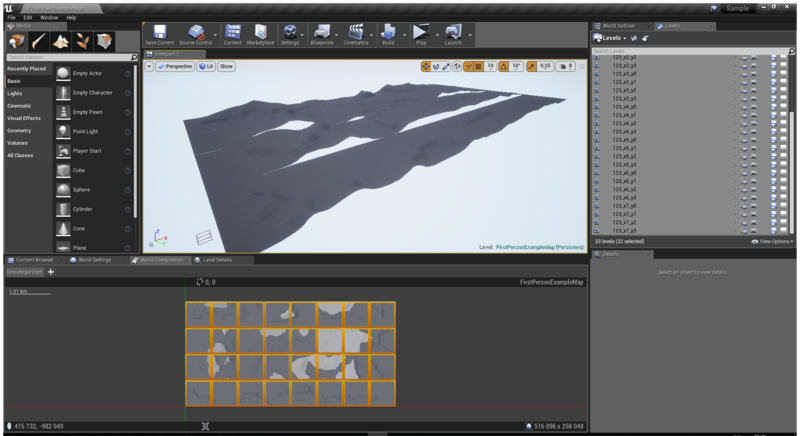 When exporting with zeros, like a from L3DT Export/Export overlapped tiles have wrong order in Unreal Engine level editor world. Tiles rows are mixed, no idea why. Is possible to move tiles to correct places, however it can create other problems later, so correct filenames are required. No other issues. Thank's to tutorials and some forum threads landscape is well aligned, without gaps between tiles (perfect match), correct scale - all as expected, just this tiles mix.